In this episode of the liberated lifestyle, I have a fascinating conversation with Oliver Selway, who’s an energy coach from the Energy Blueprint. We talk about all things energy-related, but most importantly the four main lifestyle factors that affect your internal body clock, known as your circadian rhythm. If you want to double your energy, optimise your health, reach an ideal weight and perform at your best in sports, then working with your natural biological rhythms is essential. In fact, this is such a fundamental piece of your physiology, it is required knowledge for everyone and anyone. RICHARD: Episode 24. Welcome to The Liberated Lifestyle. My name is Richard Gliddon, the wellness coach, mentor here fueling your future freedom with another dose of insight on how to live the have-it-all, healthy lifestyle. These are tools, tips, tricks, and thoughts on how to master your health and your life whilst living in the fast-paced and stressful, modern world. Sit back, relax, and enjoy today’s show. Okay. Hello, health seekers, so welcome to another episode of The Liberated Lifestyle. I’ve got an interesting one for you today. We have one of my good friends by the name of Oliver Selway on the show. Just to give you a little background to this, many of you know that I live my life via challenges, quarterly challenges where I attempt to improve some aspect or area of my life in a profound way. The first quarter of this year, I chose energy in my health. I decided I would like to double my energy. That led me down a pathway of checking out this cool thing called The Energy Blueprint. This is the whole science of rebuilding health. It’s been a profound journey so far just in the first two months of this year. I thought we’d dig a bit deeper into this topic of energy. It just so happens that Mr. Selway is one of the coaches at The Energy Blueprint. He’s very graciously offered to come on the show and share us some of his wisdom. Welcome to the show, Ollie. OLIVER: Thank you very much, Richard, nice to be here. RICHARD: Why don’t you tell us a little bit about yourself? I know you didn’t begin as an energy coach. There was some build-up to this. Why don’t you tell us a little bit about your journey from personal trainer right through to where you are right now, coaching people to double their energy? OLIVER: Yeah, sure. Well, I retrained as a personal trainer during some sort of midlife crisis, I guess, a little under 10 years ago. I’ve been working in the fitness, health industry since then doing various different things. I started off as more of a traditional personal trainer, and I got really interested in alternative ways of looking at health, and that was when I started learning about more natural ways of improving your health. I got very interested in paleo for a while. I wrote a book which is all about how you can use what we know about living naturally in order to improve your health, what a natural diet would look like, what a natural exercise program would like, based on what we know about how people lived many thousands of years ago. RICHARD: What’s the book called? OLIVER: The book’s called Instinctive Fitness. It’s very rare and hard to get hold of nowadays. Who knows? You might be very lucky and manage to snap it up second-hand on Amazon. I loved writing the book, didn’t enjoy promoting it as much. It did well for a while, then not so well when the marketing tailed off. But, that was very much part of my journey. It got me thinking in a very broad way about health and fitness. Got me out of the gym and really widened my horizons. All the time, I guess my fitness and my knowledge was improving, but there were some areas that I was just very stuck with. I just continued to search for answers for those. Then, I came across The Energy Blueprint. I jumped at it, because I could tell that it was something really quite different. Here was a guy who’s, Ari Whitten, who’s presenting his program, and he wasn’t just offering his opinion, but, rather, he was reading the science. This was the first time that I really got introduced to looking at studies independently and critically thinking about them and weighing up the evidence. Then, through looking at the work he had done, I managed to put together the final missing pieces of my own health puzzle, I suppose you could call it. RICHARD: Okay. Did you experience some sort of transformation in your own energy I guess just putting together the pieces of this program? OLIVER: Yeah, yeah, absolutely. I’d been doing things like intermittent fasting and high-fat, low-carb diets. Although it kept me looking like I was in really good shape, my energy levels actually weren’t that good. I was suffering from some other problems as well, like difficulties concentrating. My memory wasn’t really 100% at all and cold hands and feet. Knowing what I know now, I know that my circadian rhythms weren’t very good. That also my hormones were out of whack because I was doing a lot of things that were destructive to my thyroid and various other hormones that should have been much more balanced. RICHARD: You see, this is fascinating to me, because I’ve known you for what is it? Two years, maybe three years now, in some aspects as a client doing structural correction. Even when I first saw you, you were, I would put you in the upper top few per cent of people in terms of fitness ahealthylth appearance. You look like someone who has it together. You train all the amount that is required to be fit. You are eating the paleo diet. I think you even delved into Ray Peat which is a slightly more extreme, but, certainly, a diet that should, it should improve energy significantly. I know you were doing things like meditating. You were working on all aspects of your health, but not having it quite click. This is what’s so fascinating to me. We have to have a lot of basics in place for it to all click together and work well. You mentioned, was it circadian rhythms were the thing that clicked it all together for you initially? OLIVER: They were really important. I’ll tell you one habit that I had that was actually really destructive for me in the long term. That was, well, there are two parts, I suppose. First of all, eating a high-fat, low-carbohydrate diet meant that I ended up eating not enough vegetables. RICHARD: Oh, okay. This is the keto diet, right? Were you doing keto? OLIVER: Yeah, I wasn’t deliberately trying to do keto, but I was doing something that ended up being much closer to that. OLIVER: Also, I was intermittent fasting as well, so, typically, I was skipping breakfast. That was my way that I was reducing quite a small eating window like maybe a 10-hour eating window each day. Because, I only ate lunchtime and suppertime. That was one of the crucial mistakes that I made that was getting me into a bad state. I know that now. If I could go back in time and correct that five, seven years ago, then I would. RICHARD: This is so interesting, because I’ll tell you what, some of the things you’ve touched on there like intermittent fasting and the keto diet or the high-fat, low-carb diet, these are some of the go-to strategies that people use to improve their health. It’s just fascinating to me that you can have one piece in play, yet, if something else is missing, or if it’s not quite right for you based upon all the other things you could be doing that you might suffer in your energy. I think energy is probably one of the best ways to track how healthy you are in real terms. OLIVER: Can I just say, Rich, with these things that the devil is in the details. In no way am I writing off high-fat, temporary high-fat diets, nor am I saying that you should never skip meals. The devil is in the details. I would have to be more precise about those things in order to clear up how it works. OLIVER: Or do those things wrong, in the incorrect manner, and you can end up worse off than you actually would have been if you hadn’t done them at all. RICHARD: That’s what’s so interesting. The Energy Blueprint is a program that is based upon science. I assume it puts people on a path that helps them work on the most important priorities first, is that correct? I would assume intermittent fasting is fairly far down in terms of the high-level strategies that you could use. OLIVER: It appears in the very last module actually. RICHARD: Is it? Okay. It was a fair assumption for me then. Where’s the first place that people go if they’re looking to supercharge their energy? If they’re exhausted, if they’re tired, maybe they might even have chronic fatigue, fibromyalgia, they could be far down the road of low energy, or they might just be waking up brain-fogged and knackered every morning. Which is the first place that you would recommend as an energy coach that people begin to change when it comes to their lifestyle? OLIVER: Rich, there are all sorts of things. Literally, thousands of things that you can do to supercharge your energy levels. However, many of them won’t work while you have fundamental things that are still wrong about your lifestyle. We always come back to looking at the basics first, because some clever supplement further down the line often won’t do anything while you’ve got these outstanding, glaring problems that are just dragging you down every single day as you repeat them 24/7. The very first thing we look at is circadian rhythms. RICHARD: Circadian rhythms, so that’s all about sleep, right? OLIVER: No, that’s a common mistake, Rich. Possibly one that you walked into deliberately. RICHARD: I’m trying to set you up here, man. OLIVER: Yeah, yeah, so, no, that’s what a lot of people think, but there’s a lot more to it than that. Think of circadian rhythms as your internal clock. Your biology has set up a series of habits and environmental expectations that it expects you to go through every single day at particular times in a particular sequence. Unfortunately, now with the way that we can live, because we’ve got power, and we can turn lights on whenever we want, we can exercise whatever time we want, we can do whatever the damn … Whatever we want to do, we can do it at any time of the day or night. We’ve now lost this sense of timing, this internal clock that tells us when and what to do. That has enormous repercussions in terms of our energy levels, our propensity for disease, the likelihood of becoming obese, and, even, ultimately, our life span are all affected by the timings of the things that we do. RICHARD: In short, I guess it’s letting your body know when nighttime has begun, and when it has ended. Is that a fair to summarize circadian rhythm or this internal body clock? OLIVER: Yeah, it is…. changing of the sun basically. Your body either wants to be in one of two modes. It either wants to be full of energy and spending it fast and going for it, or it wants to be in this relaxed, parasympathetic, recharge mode. All too often, we’re trying to both at the same time, or we’re stuck in one mode completely, and we don’t have this rhythm. It should be approximately 12 hours of get-up-and-go and 12 hours of rest, not 12 hours of sleep, obviously, but 12 hours of rest. Those periods are marked by certain stimulants that affect our brain and tell our brain what it should be doing in terms of producing energy, whether it should be saving energy or producing energy. RICHARD: Okay, so how does this work on a practical level then in your health? Is there an actual body clock in the body? Is this just something that happens depending upon the time of day? How does it work? Make it really simple for us. OLIVER: Okay, there’s not a literal clock in the body, but the way our hormones all work together allows us to think of it as being a clock in the body. What the body is doing is it’s looking for outside signals to tell it what to do at different times. Now, there are four key things that your body is looking for when it wants to tell what time of day it is, and what it should be doing. The first is light. We, our bodies expect it to be light during the daytime, and they expect it to be dark at night. You can see how easily we can confuse our body. If you have got really bright lights on in the evening well after dark, your body is still going to think that it’s midday, so it won’t be preparing to go to sleep for another four hours or three hours after you actually turn your bright lights off. You can imagine how that might affect someone’s ability to sleep. The second thing is movement. Our bodies expect us to be active and moving around during the day, not sitting down or just standing around, but, actually, doing stuff. Then, in the evening, after it gets dark, from a historical point of view, it expects us just to be sitting around a campfire telling stories basically. It doesn’t expect us to be exercising late at night. It doesn’t expect us to be jumping around or partying or, for that matter, getting too excited about social media posts. RICHARD: Circadian rhythm is no fun basically. It doesn’t enjoy life. OLIVER: But, it’s, basically, what you said with these first two points only, with light and movement, you’ve described what most people are not achieving in their day. Most of us wake up indoors, and we travel to work in a car and, then, sit in an office without any real sunlight all day long, to go home and sit on a sofa in front of bright lights and bright TV screens and bright phone screens, and to sleep often in a room that isn’t dark enough with streetlights or phones by our head or little LEDs or whatever. RICHARD: Straight away, the combination of not enough of the right light, too much of the wrong light, wrong times of day, not enough movement at the right times of day, too much movement at the wrong times of day, it’s pretty easy to get this wrong, I guess. OLIVER: Our daytime rhythms typically for someone that works in an office could be comparable to a caveman 15,000 years ago who didn’t come out of his cave. He’s going to end up miserable, depressed, sitting at the back, pulling his hair out. He needs to be outside. He needs to be exposed to the bright sun in his eyes, UVB on his skin. He needs to be moving around. He needs to be hunting. He needs to be involved, physically working, all these things. But, we don’t generally get that in an office. Things are improving because we’ve got things like standing desks now. Some people have even taken things a little bit further, and they’ve got treadmills in front of their desks, all quite eccentric stuff. RICHARD: I’ve got one of those. I’m one of those eccentrics. I can’t do a podcast on them though, because they’ve got this annoying whirring whine to them every time your foot stands on it. But, one I saw recently which is quite cool is a pedal under the desk, a pedal. If you’ve got one of these desks that moves up and down, an electronic one, you can have a stool, a saddle stool with a bike pedal, and so you can alternate between the two never having to completely rest. I thought that was quite a nice little breakthrough. I might have to try that next. OLIVER: Yes anything like that, that stops you just standing or sitting around. Another thing that’s becoming more common is, do you know about these things they’re often called SAD lights, Rich? Originally, they were promoted for people who were just feeling a bit sad and miserable. RICHARD: Well, that’s what came to my mind when you started talking about the caveman. That’s essentially what SAD disorder is, right? Seasonal affective disorder where people get bummed out in the winter. OLIVER: This is a circadian rhythm problem. These lamps that emit white or blue light have been around for quite a lot of time now but, only now, are people realizing these aren’t just for people who are depressed. These are for people that haven’t got the chance to get outside into bright sunlight early in the morning which is exactly what our bodies expect from us every day. Very useful for people like us who live in the UK where we’re largely unexposed to bright sunlight. RICHARD: Exactly. Even if you want to, you can’t. You can’t do it. This morning I thought about getting outside and getting some sunlight. It wasn’t there. Instead, what I have, by my desk here is one of these SAD lights which I use to light my work space. Our bodies also expect us to be exposed to the sun’s rays on our skin as well. UVB is supposed to be producing vitamin D on our skin and increasing those hormone levels. Of course, we’re not going to get that here in the UK very much either. We’ve got things set up against us. But, there are ways to mitigate all of these things as well. OLIVER: This was a real breakthrough for me. This is the thing that has got me very excited about The Energy Blueprint, and my own energy is starting to look at the science and the common sense quite frankly around all of these different spectrums of light that we should be exposed to and just actually putting two and two together with the fact that the modern lifestyle does not allow it to happen naturally. 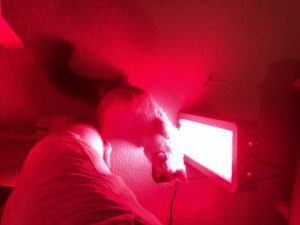 RICHARD: It’s just not going to happen without some conscious effort, particularly, if you live in London and, so, understanding the use of bright lights in the morning has been revolutionary, understanding the importance of UVB, not UVA, is that correct? UVA burns the skin. UVB stimulates vitamin D production, is that correct? OLIVER: Yeah, that’s right. These things are fundamental to your health. Ari Whitten does an amazing job of summarizing the research around those things and just how beneficial they are. It completely blew my mind. RICHARD: But, it goes on to other spectrums of light. I don’t know if you want to touch on those. Things like infrared and far infrared, is that something that is critical, or is that an optional, more advanced strategy? OLIVER: I’d say it’s a more advanced strategy. OLIVER: But, it can be really useful as well. I always try to relate things to the way we might naturally live many thousands of years ago before the dawn of agriculture. We would be getting infrared from the sun all day long. Then, there would be another dose of red and infrared that we would get from sitting around the campfire in the evening. OLIVER: Now, if you remember, it’s not quite such a thing now, but 100 years ago, as soon as people went to their doctor, and they started talking about aches and pains and being unwell, the first thing that doctor would recommend is they went abroad to a sunnier climate, right? RICHARD: Yes, in fact, my granddad suffered terribly with arthritis, and that was what was recommended to him to come and visit us in South Africa and get some actual sunlight on his skin. I’ll never forget, I was about I think eight or nine years old at the time, I never forget him actually doing much better, him able to get out of his wheelchair and, actually, move around, just because he’d been exposed to some heat and some sunlight. It was incredible. OLIVER: Yeah, yeah. It makes sense that our bodies expect to get this red and infrared exposure from the sun. We either need to get that in the form of sunbathing. It’s no good just going out just showing your face to sun. We’re talking about almost whole body exposure here. OLIVER: In a warm country. Yeah, it’s got to be south of France, Spain, Africa, tropics, that sort of thing. Here in the UK, there are probably 10 good days a year for that at the most. But, if you can’t get that, then there are certain substitute lights that you can get again which can provide that exact missing wavelength that will help us in our search for health. RICHARD: Amazing. There’s going to be a few things popping up for people here. One is, is that safe to be sunbathing that much? 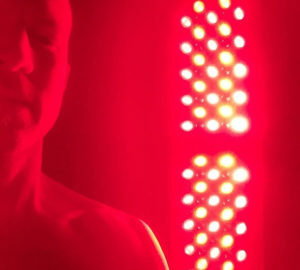 The other thing is, is there any hope for you in the UK if you don’t have these proper lights, or if you don’t have a tanning bed or something? Realistically, can you get this right in the UK in a safe way? OLIVER: Yeah, absolutely, but, really, the only way you can do it is by purchasing the right kinds of lights and use them fairly religiously. RICHARD: Right, okay, got you. Then, what does the weight of the science show you about the safety of UVB radiation on the skin? Because that’s a bit of contentious topic, right? OLIVER: Yes, yes, it is. In terms of conventional wisdom anyway. The answer is actually quite straightforward, because the science has been examining two completely different things. On the one hand, they’ve been looking at the dangers of overexposure to sunlight. On the other hand, they’ve been looking at the benefits of exposure to sunlight. There’s a clear difference between them. We don’t really have to say that either sunlight’s bad for you, or it’s good for you. We don’t have to, for example, decide whether exercise is good or bad for you. Clearly, there’s a level of exercise which is good for you, and there’s also a level of exercise which would be really bad for you to start tomorrow. OLIVER: Now, luckily, when it comes to your skin, there’s a really, really clear feedback mechanism in operation which is when you get burnt, you’ve screwed up. You’ve hurt yourself. Not only does it come then, it may come back to bite you later, potentially, in the form of some sort of cancer. But, the much bigger risk is not exposing yourself to any sunlight at all in the meantime. More and more, we’re moving into a culture where people are so scared of the sunlight, they’re slathering on chemicals before they go out in the sunlight. They’re getting a double whammy. They’re getting exposure to unpleasant chemicals in the skin products, and they’re also depriving themselves of all the health emitting benefits the sun is offering. RICHARD: Yeah, it’s a crazy circus, really. It’s a funny one to wrap your head around. I remember reading some research probably eight years ago now that showed people who exercise had 50%, I think it was 56% less incidence of malignant melanoma, which is skin cancer, which to me just shows quite clearly that it’s not just about sun exposure. It’s about any health condition is a multifaceted entity. It is driven by a whole bunch of different aspects, nutrition, mindset, exercise, radiation, and toxin exposures. There’s a lot to factor here, and I think whilst excess is a big thing to look into, and something to worry about like too many toxins, too much sun exposure to the point of burning, but deficiency is equally something that we know is important. It’s obvious when it comes to talking about diet. You can be deficient in magnesium, which can cause many symptoms like cramping, pain, even anxiety. But, you can be deficient in things that are lesser understood like healthy thoughts and love and gratitude and equally deficient in things like sunshine. It’s fascinating. There’s always this balance to be found. That’s, not to go back and repeat my earlier comments, but that’s what I like about this program is it helps you find the balance amongst all of these variables in your health. It’s essentially what you’re trying to improve here, it’s health, and energy is the nice byproduct. That was a wicked little summary. Thanks for that. So far, we’ve got movement, and we’ve got light. OLIVER: Yeah, we’ve got light, and you’ve had movement. Then there is nutrition as well. OLIVER: Now, this ties back to what I was saying earlier about the crucial mistake that I made in skipping breakfast. OLIVER: Because, food, being a really important circadian signaler, tells your body that it’s daytime. You’re awake, and everything is good. We’ve got a food supply. We’re good to go. RICHARD: That’s fascinating. Okay, so hang on, help me put this into proper context here. How does this fit amongst the keen, intermittent fasters, the 5:2 diet, the Dave Asprey Bulletproof Coffee bunch in the world? Where does this fit into? Because people are reporting amazing benefits of intermittent fasting, every day cutting out breakfast. Where is the cutoff point then between having enough fasting time, so that your body can cleanse itself and reset its hormones? There must be a sweet spot there. OLIVER: Yeah, so the evidence for intermittent fasting is really strong, and there are lots and lots of benefits from it, but it’s very common that people are putting it into practice in the wrong way by skipping breakfast, for example. Let’s say that you want to maintain an eight-hour eating window and a 16-hour fasting window. Then, the easiest way to do that would be to skip supper. OLIVER: That one doesn’t matter as much, because that’s the time that you’re moving towards sleep anyway. It’s okay to tell your body that it’s time to wind down, time to relax, no need to stress about things. There are other benefits from skipping the final meal of the day which is that you’ve got a longer lead time into sleep while you’ve got an empty stomach. One of the worst things you can do, and this used to be an old wives’ tale, but there’s plenty of evidence for it now, one of the worst things you can do is go to sleep having just eaten a meal. RICHARD: Do you know what? I’m glad you touched on that. I actually wasn’t thinking about that as we went into this podcast, but that’s been one of the strategies I’ve employed from this program that’s made a massive impact to me. I track my sleep quality every night with the oura ring, if anyone wants something that’s accurate as it possibly gets with a home-use device that’s affordable. I track my sleep, and what I noticed is the nights that I eat late, I get back from work some night 8:30, 9:30 at night, if I have a meal then, I will almost obliterate my deep sleep. I might get 12 minutes, terrible, when I should be getting an hour, an hour and a half. It took me a while to work out that that was the issue. It was that I was actually eating too late at night. What I’ve done now is I actually start making double the amount of smoothie every day on those days that I’m working late. I have my smoothie in the morning, but then I’ll also drink a liter of smoothie right as my evening shift ends at 7:30, so that I’d have had a good two, three-hour window before I go to bed. It really is an interesting one to contemplate. My girlfriend is Polish, and she’s saying in Poland, people don’t have traditionally a big evening meal. Whereas in this country, in the UK, it’s the biggest meal of the day typically, isn’t it? You have a big, old dinner. OLIVER: The evidence actually suggests that we’re better off what they call front-loading your calories, so that you’re having the majority of your calories for breakfast and lunch and go through the day feeling pretty full. By the end of the day, because there have been abundant calories, you’re not really thinking about stuffing yourself anymore. They actually did an interesting study on this recently. They took two groups of people. They ensured that they had exactly the same number of calories per day, and the only thing they changed about the second group was that they didn’t allow them to eat any calories after 6:00 PM. They had to eat at 5:00 or 5:30. They found that that group actually lost quite a few pounds in terms of extra weight and extra fat. We know that it’s better for your metabolism because that’s what we’re measuring here. It’s better for your metabolism to be resting with an empty stomach, because this is when a process called autophagy happens. This is your chance for your body to clear out all that protein, all that rubbish that it doesn’t really need. It has a chance to clean your brain out, to clean your blood out, how your kidneys start working properly, your liver starts working properly. This is the process of cleaning. You can’t clean the house while it’s full with your supper. When the cleaner comes you have to make sure everything’s out of the way. This is the way it happens in your body as well. You can’t be both building, using the food you’ve just taken in, and cleaning at the same time. These two things are opposite processes. You should be doing the cleaning at night while you’re asleep. RICHARD: Again, it would seem to me to be pretty damn common sense. I don’t necessarily need … As things within natural health so often are, it’s like, “Don’t put toxins in your body,” I don’t necessarily need to show you a research study. If it’s toxic, it’s probably not a good thing to load yourself with it. But, that is a fascinating one, and, certainly, one that’s blown my mind just putting into play. That’s always where the rubber meets the road. Is what are you noticing in your own health when you put these things to the test. This one is particularly interesting though because it tips it on its head. It tips a lot of the advice that I’m seeing all over the internet is the biohacking and intermittent fasting craze for people to be skipping breakfast, which actually goes against what I’ve found to be true in clinical practice. A lot of people with adrenal problems in the morning are skipping breakfast, and I know Ari’s against this whole adrenal fatigue thing. But, I see it as being an issue for people as part of a wider hormonal-access issue that people get. But, skipping breakfast and drinking coffee in the morning seem to be some of the key commonalities amongst people who are just tired and suffering with hormonal problems. It could be back to something as basic as, listen, get your meal timing right. 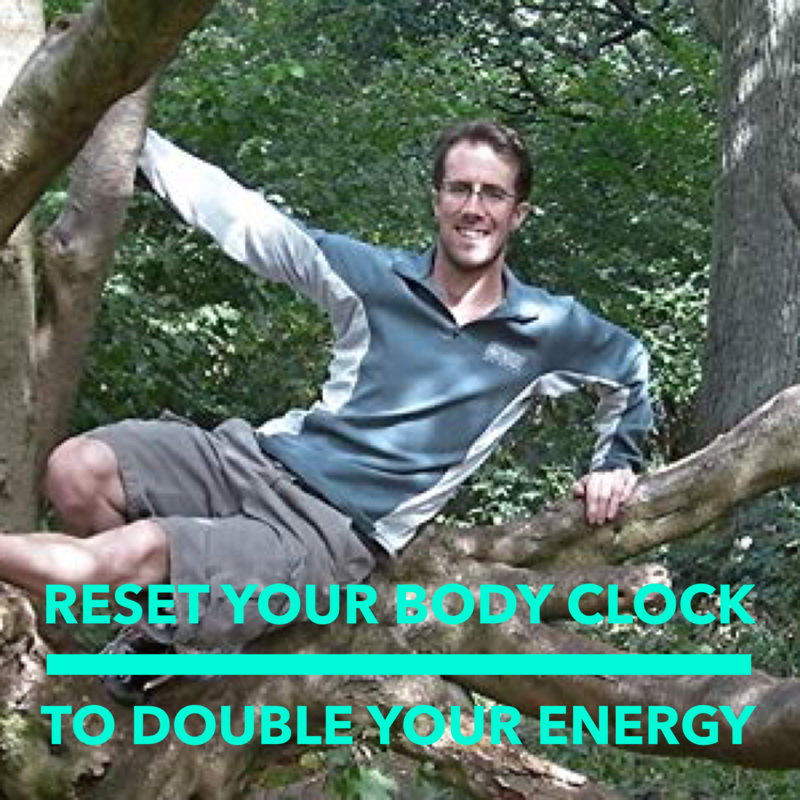 Give your body a chance to clean itself out and have the circadian rhythms set right. It doesn’t necessarily mean you now need to go down the road of solving this with complicated herbs and biohacks and all sorts of fancy interventions. It could really be simple as, look, just go back to the way nature intended your body to operate. Yeah, for me, that one really hits home. We have light. We have movement. We have meal timing. What’s the last one? OLIVER: The last one’s a little bit less important but, important, nonetheless, and that is temperature. Your body responds to temperature to know what time of the day it is. When you sleep at night, you want to sleep in a comparatively cool room. If your room gets too hot, you are not going to have a good night’s sleep. Then as you’re about to wake up, you want the temperature in your bedroom to just increase slightly, because that’s what it would be doing in a hot climate as the sun comes up. The temperature in your room would be increasing. That would be one reason why you start to wake up, and you start to feel ready to go. Again, through the rest of the day, you’d expect to be warm, and then, in the evening, imagine you’re sitting around the campfire, even though you’ve got the fire going, the fire’s going to start to die down, you’re just going to start to get a little bit cool, and that’s the signaler for you to go to bed. One little tip for you, if you want to get to sleep before 10:00 PM, and I do advise you to do exactly that, turn your heating off at about nine o’clock. Because, by 10 o’clock, you’ll be feeling slightly cold, and you’ll be thinking, “Oh, I wish I was tucked up in bed.” That will be one of your signals to get upstairs and get some sleep. RICHARD: That’s a proper biohack. You recommend turning it off completely rather than just moving the thermostat down. OLIVER: Well, it depends on your house. I don’t know how efficient your house is at producing electricity and storing it. RICHARD: What’s the ideal number people should shoot for, have you got it in centigrade? Okay, okay. That’s usually achievable with a thermostat. One strategy I’ve heard people use as well, is just open the window ten minutes before bed and flood the room with cool air. That’s quite a nice one. But, I like the turning the radiator off. That’s a good one. OLIVER: I’ve got a couple of other tips for your bedroom if you want. OLIVER: Not that kind of tip, different kind of tip. RICHARD: I’m open to anything, dude. Teach me. OLIVER: First of all, is it … When you turn the lights off in the evening, and you hold your hand in front of your face, can you see it? RICHARD: Personally, yes, I can. You can see the, for those of you watching this on the video podcast, you can see the blinds that I’ve got there. These, when I pull them closed, you still got some light coming in. Now, I’m not on the road here, I’m actually opposite a park. But, the road is fairly close to here, maybe about a hundred meters away, and the light from the streetlights and the passing cars does cause a very slight light effect in the room, and so it’s not completely blacked out, and I can see my hand on my face. I actually use a sleep mask. OLIVER: Even if that’s only a small bit of light, Your eyes are going to register that, and it’s going to tell you that it’s actually daytime and time to wake up. Even if it’s actually half past ten at night or five o’clock in the morning. If you could get some better quality blinds and get it so dark that you can’t see your hand in front of your face, then that would be an ideal scenario. RICHARD: Absolutely, yeah. I have looked into that, and I want to do it. But, in the meanwhile, I’m just using a manta sleep mask, because it’s a quick fix. Give us one more sleep tip. What have you got that’s worked really well for you and your sleep? OLIVER: Okay, perhaps, the most vital thing is consistency. Even if you’re getting to bed reasonably early, it will still confuse your body if you go to bed at nine o’clock on Monday, half past 10 on Tuesday, nine o’clock on Wednesday, moving around like that. What you want to look for is consistency. Have a nice evening routine that consists of nice relaxing activities and, of course, includes your brushing your teeth and all of that and head up at the same time every night. Don’t overexpose yourself to bright lights. Then, hopefully, you fall asleep at pretty much the same time every night which should mean that with a little practice, you wake up at the same time, naturally, every morning round about the time it gets light, and then you bounce out of bed straight away. None of this lying around during the weekend having an extra hour in bed or anything like that. That’s just going to mess up your circadian rhythms. Weekends don’t really exist in nature. It’s got to be out of bed, start doing things, tell your body it’s daytime, time to go, moving around, light, heat, have something to eat. That’s how it should be, consistency, day in, day out. The circadian rhythm thing is no fun at all, is it? It’s not a party animal. It’s not a lounge-around-the-house animal. It’s just production. Let’s get things done. Let’s go and hunt. Let’s survive. Get up and take the dog for a walk. That would be my advice on the weekend. But, again it’s fairly common sense. If you think how we would have been as cavemen and cavewomen, you’re going to get up when the sun comes up. You’re waking consistently at the same time each day, and because your days are so consistent of how you’re spending energy I guess, and the foods that you’re eating, and the exposure to sunlight, once the sun goes down, you’re going to be sleepy at the same time every night. We don’t have Netflix. We didn’t have that 100,000 years ago, so… what should we do? Go to bed. There have been many people who’ve reported that they’ve had terrible problems with their sleep. They tried all these hacks. They tried taking magnesium and all of these things. They were almost at their whits end. Then, friends of theirs have said, “Why don’t you come camping with us?” Do you know what? They had no problems at all after the first three nights. They were just bam, straight out, and they were getting eight and nine hours of sleep, no problems whatsoever. Because, there’s nothing to do in the evening. You set up your fire. You have a chat for a while. There’s no option to go and watch another Netflix video or spend an hour on your computer. It just feels right to sleep. People feel relaxed. They’ve been on their feet all day which has been good for them, tired them out. They just sleep. OLIVER: Yeah, they come back feeling so much better even though they’ve actually, they feel like they’ve been working hard. RICHARD: Yeah, we need to try and recreate those natural conditions in the hectic, busy, modern world. You live the city life, you have to really try hard and work hard to implement these habits. You’ve got to be strategic about it. I’ve had an experience like that actually when I was 19. I worked on a horse station teaching Japanese tourists how to ride horses. I had no idea how to ride a horse myself, and I landed this job. It was just like that. I would wake up early in the morning, eat healthy food, go out on your feet all day, work hard on the farm, did a bit of horse riding, throw the boomerang around, come back and have a barbecue, eat loads of salad, and it’s dark at 5:00, 5:30. Watch the sun go down, you eat your dinner, and you’re sleepy as hell by 7:30, eight o’clock, out. I did that for a month. OLIVER: No need for sleep hacks there. RICHARD: I didn’t have for a month. I’ve got to tell you, that’s the most vitalized I’ve felt at any point in my life. I’m convinced it’s about getting back to nature as closely as possible. It was really due to sleeping early and being outside in the fresh air and the bright sun all day long. I was in Australia, so I was just getting tons of sun exposure as well. OLIVER: It’s much more in line with what your body expects. RICHARD: Yeah, exactly, exactly. I recognized that at the time. Trying to recreate that in the city is possible, but you need some strategy, right? RICHARD: That’s I guess where The Energy Blueprint is so useful, because it really gives you point-by-point instruction on how to actually make this happen in your world. Fantastic tips, man, thank you so much. I got one last question for you. What’s the most, other than The Energy Blueprint.com, we’ll leave a link to that, and how people can get hooked up with it and affiliated with you if they’re interested in coaching. But, what’s the most invaluable resource that you’ve come across in your health? It could be a book. It could be a piece of tech, a podcast. What could you not live without? What’s really keeping you in the flow with your health these days? OLIVER: Oh, let me think. I’ll answer that in a slightly different way. If it’s okay, I’ll tell you what the most life-changing thing that I read about that got me on to this particular course. I think I started reading it over 10 years ago, was a blog by a man called Mark Sisson. Who you might be familiar with. OLIVER: He just had a really nice way of trying to explain why we were having so many problems in the modern world, nothing really quite felt right and nothing quite worked right. Why we were lacking energy, and why we were crotchety, and why we were getting overweight. The whole time, he just kept saying, “It’s because there’s a mismatch between our modern lives and our prehistoric history.” If you just keep this in mind the whole time, and try as much as you can to try and bridge that gap, you will be doing the best that you possibly can for your health. Yeah, I don’t agree with everything Mark says, but, in terms of his philosophy, I still love it. It’s still very meaningful to me. That’s why during our talk now, I made continual references back to the way that we would have lived in the past and not losing sight of that. RICHARD: That’s a profound philosophy. The only challenge with living that primal lifestyle is the world’s a very different place. We don’t have the same food supply we had back then. There’s some things which we probably just could not replicate, maybe get close. But, the actual philosophy of we evolved over a couple of million-year period, we were exposed to certain environmental conditions, and that’s what our genes now expect makes perfect sense to me. The closer you get back to that, the more likely you are to experience great health and energy. OLIVER: The blog is called Mark’s Daily Apple. Mark’s Daily Apple.com. Yeah, that one is definitely worth subscribing to. It was very influential in my early readings I would say. I’ve kept that philosophy the whole way. RICHARD: Phenomenal, phenomenal. I love it. Well, thanks so much for your time. Are there any parting words of wisdom? One last sleep tip? Yeah, one last sleep tip. This one often makes a huge difference, and that is get rid of the electronics out of your bedroom. They’re not helping you at all. Get rid of your alarm clock. You don’t need that. If you’re rested, as you should be, you’ll wake up at the right time. Secondly, get rid of your mobile phone from your room. You don’t need it buzzing away or reminding you first thing in the morning that you haven’t done X, Y, and Z. That’s not the way to wake up. In fact, move everything with a plug well away from you. If you can’t actually get it out of your bedroom, at least get it, let’s say, at least six feet away from your head, because all of that electricity, all of that gives off EMFs. All of that is going to interfere with your circadian rhythms, the way your brain is operating and recharging, just push it away, give yourself a bit of space. RICHARD: I love it, man. I love it. This is another hot potato topic in health is this whole conversation of EMF radiation and dirty electricity. I tell you what, one of my big dreams in life is to build my own house, an eco-house out in the Surrey Hills. The number one thing I will be putting on the design spec is a kill switch for the house. I just want one button I can flip that cuts off the electricity to the whole damn house, and then I can just press it on again in the morning. Because, it’s interesting when you look at the major sources of dirty electricity, it’s actually, it’s points where you plug into the wall. That’s it. Anything you plug in is going to be emitting especially if it’s turned on, so unplug it. OLIVER: Absolutely, and all the more so for things like routers which are deliberately designed to give off as many magnetic waves as possible. OLIVER: Turn your router off at night. Even if it’s not in your bedroom. RICHARD: Yeah, interestingly enough, they are bad, but they’re not as big a source as plugs in the wall. A kill switch would solve it all. OLIVER: most houses probably do have a kill switch somewhere. I need to look into that. I love the kill switch idea. You wouldn’t need to turn off lights downstairs either. You could just go up to your room and just hit one switch. RICHARD: It wouldn’t be a switch either. It would be a big, red button probably or a lever that you pull. I think a big, red lever with yellow cross-hatches on it. RICHARD: Even better. All right, thanks so much for your time, Ollie. I really appreciate it. OLIVER: You’re welcome. It’s been really nice chatting, Rich. RICHARD: Likewise, we’ll catch you soon. If you enjoyed today’s content and would like to experience more insight on living The Liberated Lifestyle, please, head on over to iTunes and rate and subscribe. Also, head on over to spinecentral.co.uk and sign up for our weekly newsletter where I dive deeper into the topics of health and performance. Thank you so much for listening, we’ll see you next time. Oliver Selway is a British author, nutritional advisor and physical trainer whose interest in the benefits of leading a more paleolithic lifestyle was set for life discovering how a typical western processed diet and normal ways of training left him feeling tired, fat and skinny (yes, both at the same time!). From this his interest in the way our ancestors ate, exercised and lived, led him to find ways that anyone can benefit from making simple but powerful changes in their lives. If you are interested in learning more about the Energy Blueprint and in solving your energy challenges on a deap level then you can reach out to Oliver Selway here. There are few topics more relevant to the ‘have it all healthy lifestyle’ discussion than that of ENERGY. Your ability to get going and keep going truly is the currency of life. If you have an abundance of energy, life is much more enjoyable, you are in power, effective, creative and living fully. Yet on the flip side, if you suffer from chronic low energy life can be a real struggle, holding you hostage with even the simplest of daily tasks. Regardless of where you may sit on the spectrum of fatigue, from feeling tired and groggy in the mornings, right up to the more serious manifestations of chronic fatigue syndrome and burnout, there is an awful lot that you can do to restore your bodies inborn ability to produce energy properly. In this episode of the Liberated Lifestyle, we dive deep into the fascinating topic of fatigue science with Ari Whitten who is an expert in this niche area of health. The fascinating but little-understood concept called hormesis, and how you can use it wisely in your life to radically increase your energy levels. Ari’s top two cellular regeneration strategies which you can put into play, today, to begin rebuilding your energy. All of this and much more, on today’s show. If you are enjoying the show please head over to iTunes and rate and subscribe The Liberated Lifestyle and if you have had any challenges with your energy or even achieved a turnaround and managed to restore yours naturally, please drop a comment in the box below, wed love to hear your story. Ari Whitten is the #1 bestselling author of the cutting-edge book, Forever Fat Loss. He is a fat loss and nutrition expert who has been running a nutrition counselling and personal training business for over a decade. Ari has a Bachelors of Science from San Diego State University in Kinesiology with a specialization in fitness, nutrition, and health. He holds two advanced certifications from the National Academy of Sports Medicine and recently completed coursework for his PhD in Clinical Psychology, an education which rounds out all aspects of nutrition, fitness, and psychology of his approach to optimal health. The future of fat loss has arrived, and it’s no longer about deprivation and willpower it’s about biology! Stop trying to fight against your biology and start working with your biology. Recently I had an opportunity to interview a true wellness superstar on the Liberated Lifestyle Podcast. 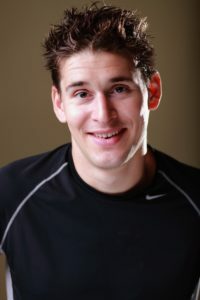 His name is Ben Greenfield and he is one of the most influential health and fitness bloggers on the planet, particularly in the fascinating field of biohacking. “Bio-what”, I hear you say….Well, biohacking is essentially about taking the best information from the health sciences to create simple, impactful and positives changes to your health. Essentially it is about becoming the most optimal version of you in the most efficient ways possible. – his 5 recommended types of workout that will strike the delicate balance between optimising performance and protecting your health. Not only will this approach help you to get incredibly fit, but also make you a well-rounded athlete and prevent you from getting sick, tired and injured. – Some of what Ben calls his more ‘woo-woo’ health tips to bring it all together. All of this and much more on this episode. He’s the author of the New York Times Bestseller “ Beyond Training ” and the Christian Gratitude Journal, Ben Greenfield’s balanced approach to fitness, nutrition and health comes from his extensive experience in the fitness and wellness industry as one of the country’s leading personal trainers and wellness consultants. In 2008, Ben was nominated by the NSCA as America’s top personal trainer, and in 2013 and 2014, Ben was voted as one of the top 100 most influential individuals in health and fitness. Ben coaches and trains individuals for general health, longevity, weight loss, lean muscle gain, holistic wellness, and sports performance, both from his physical location in Spokane, Washington and Coeur D’ Alene, Idaho as well as all over the world via online training and consulting. Ben hosts the highly popular fitness, nutrition and wellness website BenGreenfieldFitness, a site with over a quarter million monthly visitors which features blogs, podcasts, and product reviews from Ben. He is a frequent contributor to the Huffington Post, Triathlete magazine and LAVA magazine, Endurance Planet, the outdoor sports magazine OutThere Monthly and has been featured in WebMD , the Spokesman-Review , Inlander magazine, In-Health magazine, Fit-Pro magazine , PTontheNet , Prevention magazine, Shape magazine, Men’s Health magazine, Women’s Running magazine, Inside Triathlon magazine, NBC, Fox, Entheos Academy , CreativeLIVE , Udemy , Veria Live TV and CBS Sports. As a public speaker on fitness, nutrition, and training, Ben hosts several top ranked fitness and health podcasts in iTunes, including the Get-Fit Guy, the BenGreenfieldFitness show and the Obstacle Dominator. Ben speaks around the world and in addition to presenting multi-day conferences in global hotspots such as Dubai, London, and Thailand, he has been a keynote lecturer at the Hawaii Ironman World Championships Medical Conference, the Coeur D’ Alene Ironman Medical Conference, USAT Art & Science of Coaching Symposium, Can-Fit-Pro Conference, Pilgrim’s Wellness Center Education Series, Fleet Feet Sports Endurance Sports Clinic, Concordia University, REI Nutrition Clinics, PaleoFX and the Ancestral Health Symposium. In college, Ben competed in tennis, water polo, and volleyball, and now competes as a top-ranked triathlete and Spartan athlete and a multiple Ironman Hawaii finisher. Ben resides in Spokane, Washington with his wife, Jessa, and twin boys, River and Terran. In this episode of the Liberated Lifestyle, I share my thoughts on how you can achieve just about anything that you desire in your health, fitness and life. All of this and a little bit more are waiting for you in this brief but impactful episode of TLL.